Personal Mantra Formula—literally melt away self-limitations. Guaranteed to Melt Away Fear and Doubt So You Can Get to the Juicy Parts of Living Your Light. 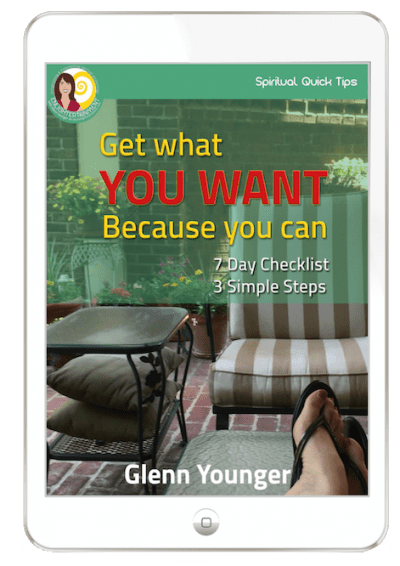 …you finally, once and for all, want to get rid of those pesky fear-based thoughts that can drive you straight into the kind of life you don’t want to be living. I know you know what I’m talking about. It’s the kind of thought that buzzes round your brain and won’t leave you in peace. It becomes a negative mantra in its own right. The list goes on… welcome to the conditioned human experience. Those kind of fear-based thoughts influence you behavior. Break your stride. Create stress. Sometimes you don’t even know one is in play until you get tired of fighting the circumstances you’ve created with it. You can pretend it doesn’t exist, and get busy doing other things. Except there it is, gnawing at you in the back of your mind. Maybe you try to shove it to one side. It comes back. You fight it head on. It fights back. You try to reason with it. That doesn’t work. It might hide out for a while, but it pops back up again like some bossy know-it-all. It renews its lease on your brain’s real estate. When you fight a thought, you’re only feeding it until it becomes a mantra in itself. Instead of resisting, use it to your advantage! Re-frame it as an invitation to go deeper into the knowing of your Divine Soul—the Infinite You. Think of a personal mantra as a repeated thought that guides you to your highest good, in all situations. This is NOT positive affirmation! It’s more of a repeated reminder of a deep truth. At the time, I was nineteen. Someone else gave it to me. It took me some practice to truly make it a personal mantra, but I’m glad I worked on it. It served me well. That one mantra gave me the courage to follow my dream against all the wishes of family and friends. AND nobody got hurt in the process. Just the opposite, in fact. Since then, I’ve used different personal mantras to help me move through life’s downs so I could get to the ups. So have people I’ve worked with along the way. When done right, personal mantras create super-cool concrete results. Most people believe that a Master Guru has to give you your personal mantra. But you don’t have to wait for someone else to give it to you because you have a Master Guru living inside of you: Your Divine Soul—the Infinite You. That means you can create your own personal mantra at any time, at any age, and no matter where you are in your spiritual awakening. After all, your Divine Soul is guiding you, and you’re learning to follow that guidance. Let me share an example of when and how I created a short-term mantra in my adult life. I was having trouble getting a properly formatted book file back from the professional formatter. I was eager to move “How to Make the Most of Your Earth Experience—14 Principles for Living Unconditional Love” closer to being published. And it just wasn’t happening in the time frame I wanted. As soon as I let go, I realized I’d been pushing the publishing river so to speak. The culprits of the problem were some expectations I’d been holding. Sound familiar? Mine were out of alignment with my highest good, the highest good of the book, and all its potential readers. Naturally, all of that was creating anything BUT right. How could it? Divine Light Vibrations manifests through every thought we have. Plus, we behave according to ALL of our inner thoughts, both conscious and subconscious. It was time activate the formula “Look… Let… Love…” that I talk about in the book. L-E-T… this book unfold, in the right way, at the right time, for the highest good of all. The call to action was to let go… and LET the Infinite Intelligence, All-knowing Wisdom, and All-powerful Unconditional Love of Divine Light Vibrations do the work. In that moment, I fully recognized how I’d slipped into the driver’s seat of the book publishing project, instead of letting my Divine Soul do the guiding. My personal mantra came with a melody attached. It started out as a pounding rap beat. Talk about a perfect musical container for my frustration! I rapped it hard. Got up and danced to it. When enough of that dense thought-energy was released—and Divine Light Vibrations transformed my frustration into illumination—my new mantra morphed into a sweet ballad. My expectations shifted back into alignment with the whole picture, even the parts I’d yet to see. That mantra sang its way into my psyche. Because I was letting Divine Light Vibrations do the work—and my Divine Soul the guiding—magical things started happening right away. But that’s another story for another day. Suffice it to say, the correct file came less than six hours after I began singing the mantra to myself. When it resonates from within, a well chosen personal mantra always creates concrete results. Here are some examples of replacement thoughts that can become personal mantras. New personal mantra: My Divine Soul is my best friend and is always here for me. The Love flowing through me reaches out, and connects me with others in meaningful ways. Fear-thought/belief: I’m in a black hole, or dark place. New personal mantra: Because I look for It, I see the Light in all I do. Fear-thought/belief: Things are out of control! New personal mantra: I am always anchored in Divine Light. My Divine Soul is guiding me, showing me the way. Fear-thought/belief: I can’t do this. New personal mantra: I can do anything with my Divine Soul guiding me. Fear-thought/belief: There’s too much to do! I’m swamped! Overwhelmed! New personal mantra: Choose what’s important. I only need to take care of this task at hand. See what I’m getting at? MEGA-IMPORTANT: Don’t try to use your new personal mantra as a positive affirmation that you don’t really believe! Yes, I know, popular wisdom says it will work. But if you do, your fear will fight back with a solid, “Oh yeah? I’ll show you!” You might eventually get there, but it’ll by the long route. It has to resonate as a kind of recognition that rises up from within. That way, it becomes a truly personal mantra. Not only does your ego intellect pay more respect to a personal mantra, it’ll take the weight off the fear until Divine Light Vibrations finishes melting it away. Naturally, the deeper you are in your Divine Soul Knowing, the faster it works. Here’s a generic mantra that’s guaranteed to have a deeply lasting effect. The more you say it, the more it changes meaning. Use it well, and it can become your own personal mantra. Take that thought or limiting belief that’s eating at you. Do the Basic Activation of Divine Light Vibrations guided meditation v2.0. Next, thank the limiting thought or belief for coming to your attention. Treat it as a personalized invitation to know your Divine Soul on deeper levels. Release it to the the flow of Unconditional Love (aka Divine Light Vibrations) moving through you. Ask for the thought to be transformed into illumination. You’ll feel a sense of relief or expansion when you really do it. Decide what Truth you want running through your head instead. Keep in mind your Divine Soul—the Infinite You— is guiding you, whether your ego intellect has recognized that yet or not. When something comes to you, repeat it to yourself to see if it resonates as “right”. If so, that’s your new personal mantra. If not, release it to Divine Light Vibrations, and ask for the “right” one to come to you. IMPORTANT: Divine Light Vibrations (aka Unconditional Love) is very precise. So be sure your mantra resonates (i.e. there’s a sense of excited recognition), and is stated to communicate positive action. This not only directs Divine Light Vibrations in the way you want them to manifest, it helps your ego intellect stay focused on what matters most. *NOTE: Singing helps anchor new thoughts in your consciousness. Once the right personal mantra comes to you, sing it to yourself. Use whatever melody comes to mind, no matter how banal or even irreverent it might seem. If the mantra or the melody morphs into something else, go with it. At first, your ego-intellect might not get with the program. No worries. Keep gently repeating it to yourself. Your ego-intellect will soon come into the fold, and you’ll reap the rewards. This’ll help your personal mantra take root and flower into a new reality. Step 1: Do the 9 minute Basic Activation of Divine Light Vibrations guided meditation. Remember: Change is evolutionary, not revolutionary. The more often you do it, the better the results. Step 2: Using the tips in this article, fill in the quick and easy eJournal “Get What You Want Because You Can.” This will help you stay on track. 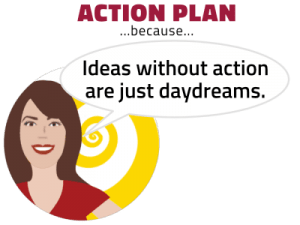 Step 3: Follow through on your action plan. TAKE PLEASURE in the new freedoms. Get the MEDITATION PACKAGE for activating Unconditional Love vibrations in Waymakers Academy. The Basic Activation of Divine Light Vibrations guided meditation V2.0. An updated version of the popular original, it’s designed to take you deeper faster. Download it into your phone or tablet/iPad and have it with you wherever you go. Easy-to-implement step-by-step mini-course to get the most mileage out of the meditation. All this for about the price of a cup of coffee and pastry with a friend. What personal mantra resonates for you? Share it in the comments below. Then join me in WAYMAKERS COMMUNITY on Facebook. To confirm, next time you can use any one of your Social media accounts to leave a comment. Thanks for taking the journey to your Divine Soul Knowing AND learning computers in the process! Brava! Am I God… the Universe… or What? GLENN YOUNGER helps Self-Explorers and New Thought thinkers go deeper into living their Light. Send the head-trips of your Inner Critic on permanent vacation. Live with EMOTIONAL FREEDOM… CALM… CLARITY… COURAGE. Celebrate your Divine Soul purpose and mission. Her GIFT is her ability to go into deep communion with other Divine Souls and open up two-way conversations. Her TALENT is distilling multi-dimensional spirituality into something fun, practical, and concrete. Her MISSION is to guide fellow Waymakers to profound reawakenings into the Light of their Divine Soul Knowing. 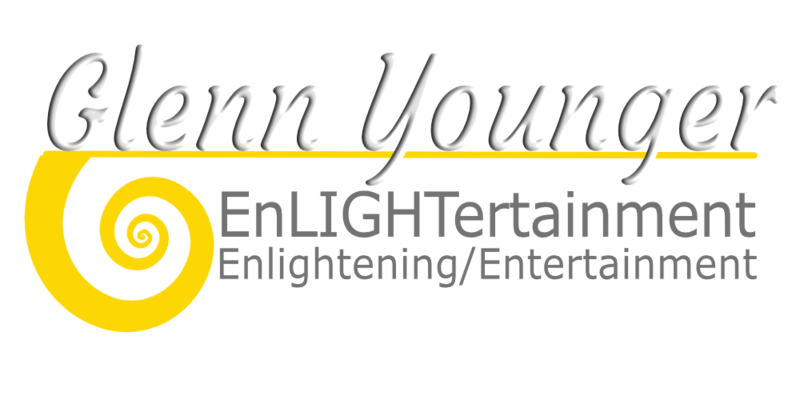 I consent to "Glenn Younger with enLIGHTertainnment" collecting my details through this form.